This dish is courtesy of my pen-pal JungHo, who was kind enough to suggest it. 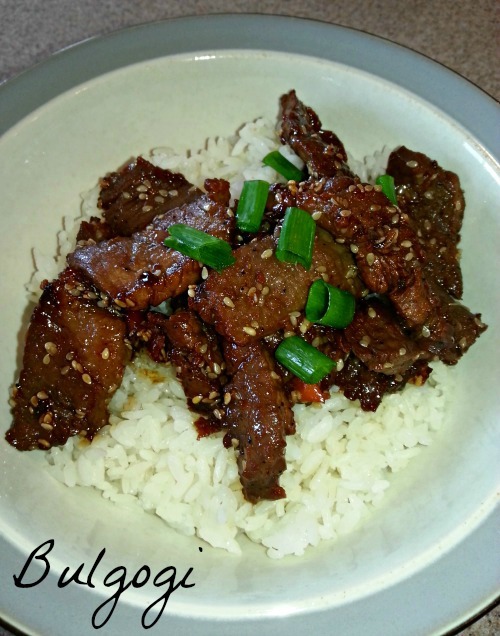 Bulgogi (불고기 ) is marinated beef that is traditionally grilled, although in my case I cooked it inside in a pan. It’s usually served with a spicy dipping sauce, hence the meaning of “fire meat” and wrapped in lettuce. A little bit of vegetable oil for the pan. (Optional) Place beef in the freezer for about hour or two until it is slightly frozen. This will make it a lot easier to slice if you are doing it by hand. In a small bowl, combine the soy sauce, mirin, sugar, sesame seeds, garlic, onion, carrot, and pepper. (That’s everything except the beef and sesame oil) Mix well until the sugar is dissolved. 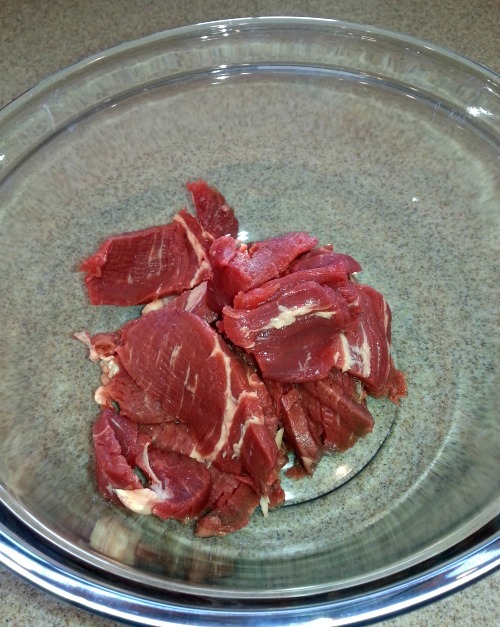 Slice the beef into thin strips. Set aside. 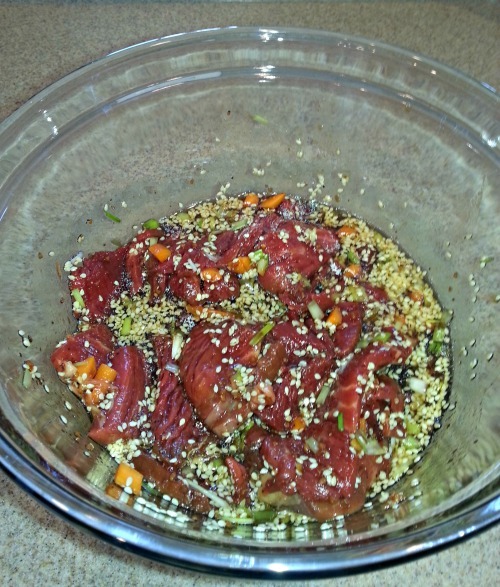 Add the beef to your marinade mixture and mix it well. You want to make sure the marinade is in between each of the thin slices and has coated all of the beef. Cover and refrigerate for 1 hour. You want your pan to be very hot, so get it preheated over high heat. Serve the cooked meat hot over white rice. Or, if you want to go the traditional route, take a piece of lettuce, add the rice and bulgogi, wrap it up and enjoy. This serves two, however I think it would be plenty of marinade for a whole pound of meat if you want to up the servings. This entry was posted on Tuesday, September 10th, 2013 at 4:58 pm	and is filed under Uncategorized. You can follow any responses to this entry through the RSS 2.0 feed. You can leave a response, or trackback from your own site.